As extreme weather breaks with existing seasonal patterns, advises GCube, project owners must look to safeguard projects on a case-by-case basis. London, 28 February 2019 – GCube Insurance, the leading provider of renewable energy insurance services, has highlighted the need for renewables to prepare for out-of-season extreme weather damage. In recent years, extreme weather events such as wildfires and hurricanes have been occurring outside of expected times and locations and increasing in severity. Insurers including Swiss Re and Munich Re have reported that 2018 saw the fourth-highest natural catastrophe losses of all time. In renewables, GCube highlights that extreme weather losses jumped to 15% of all claims, which was almost double that of previous years. In recent years, GCube has seen several losses as a result of inadequate preparation for extreme weather. In California, solar panels in a parking lot were damaged by burning cars as a result of wildfires. At a solar farm in Texas, unexpected flooding led to damage on fencing and construction infrastructure, causing delays and revenue loss. In Taiwan, incorrectly-installed concrete supports led to heavy damage to a solar farm following a storm. In Australia, flooding caused major damage to a wind farm and significantly delayed a project during construction. In light of this, GCube has highlighted the importance of evaluating projects on a case-by-case basis. Asset owners and insurance managers must address each project independently, rather than relying on portfolio-wide risk analyses which may overlook individual project features or weather variability. This involves ensuring that connected infrastructure and equipment are capable of resisting catastrophe-level events. 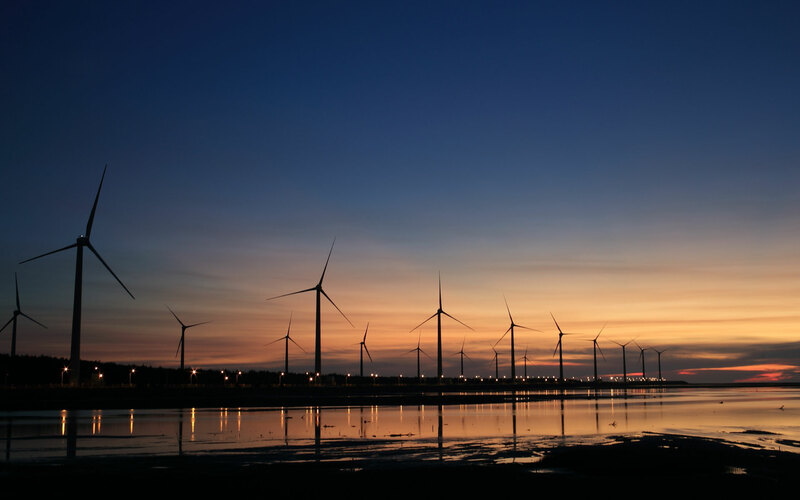 While turbines and solar plants are increasingly designed to resist tough conditions, such as hurricane-strength winds, this does not mean that connected infrastructure and surroundings do not pose a risk – such as trees touching transmission lines. Fraser McLachlan added, “Every project has a unique risk profile. The past two years have taught us to think about how that might be affected by changing extreme weather.